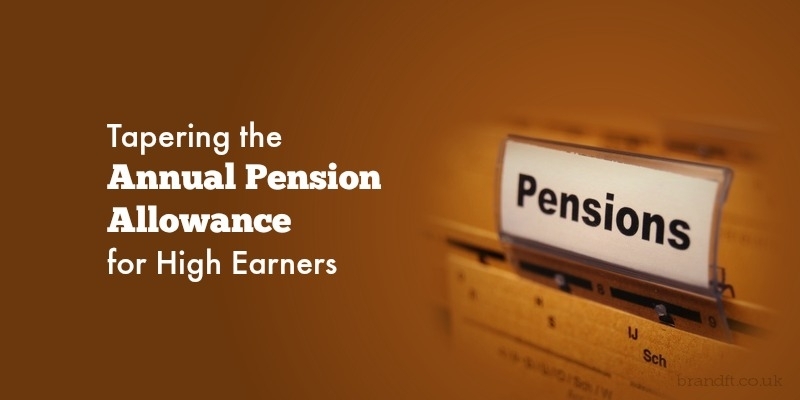 In less than a month the annual pension allowance for contributions for high earners will be tapered. The formula will be familiar; a £1 reduction in the allowance for every £2 of income above a threshold. It’s the detail, as ever, that can be confusing. This article will be of interest to those studying for the CII R04, R08, J05 or AF3 exams. Firstly it only affects those people with ‘adjusted income’ of £150,000 or more. Secondly, the maximum amount of reduction is £30,000 so anyone with income of £210,000 or more will still have an annual allowance of £10,000. Thirdly, the tapered reduction doesn’t apply to anyone with ‘threshold income’ of £110,000 or less. The key to understanding any of this is the distinction between ‘adjusted income’ and ‘threshold income’. Both definitions include all of someone’s taxable income – so savings as well as non-savings income (although you should note that when lump sum death benefits are taxed as the recipient’s marginal rate of income tax from 2016/17 these will be ignored when working out adjusted income). The difference is that the ‘adjusted income’ definition includes pension contributions (this is both employee AND employer contributions) and the definition of ‘threshold income’ doesn’t. Both definitions start with ‘net income’, which used to mean income after tax, but in this context means taxable income less certain allowable deductions, one of which could be your CII subscription. When calculating ‘threshold income’, the member’s pension contributions are deducted and the employer contributions are not added in. Steve is the sole shareholder/ director of his building company. He has taxable income of £100,000 and pays an employer pension contribution of £60,000. His adjusted income is £160,000 so it looks as if his annual allowance will be tapered as he clearly has adjusted income of over £150,000. However, to work out his threshold income we don’t include the employer contribution so his threshold income is £100,000 and the taper does not apply after all. Remember that the annual allowance taper will take effect from 6 April 2016. If you’re studying for your CII R04 exam, and you’re wanting to give yourself an edge on exam day, grab our free taster to try out one of Brand Financial Training’s resources for yourself. Click the link to download the R04 mock paper taster now! Has this helped you to understand the distinction between adjusted income and threshold income?